Armed and ready for our first road trip, my mom had these delicious oat cakes ready to go. 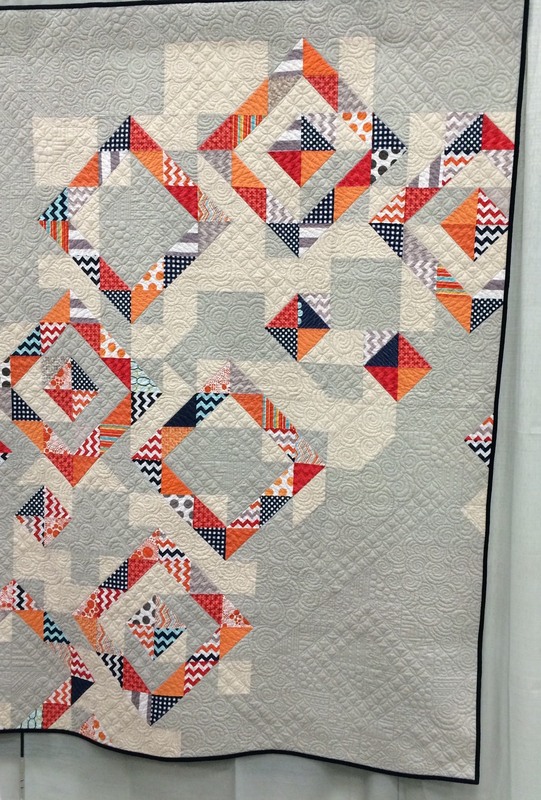 Last week my mom, her friend Jenni, Harper, and I went to the 2015 QuiltCon in Austin, Texas. 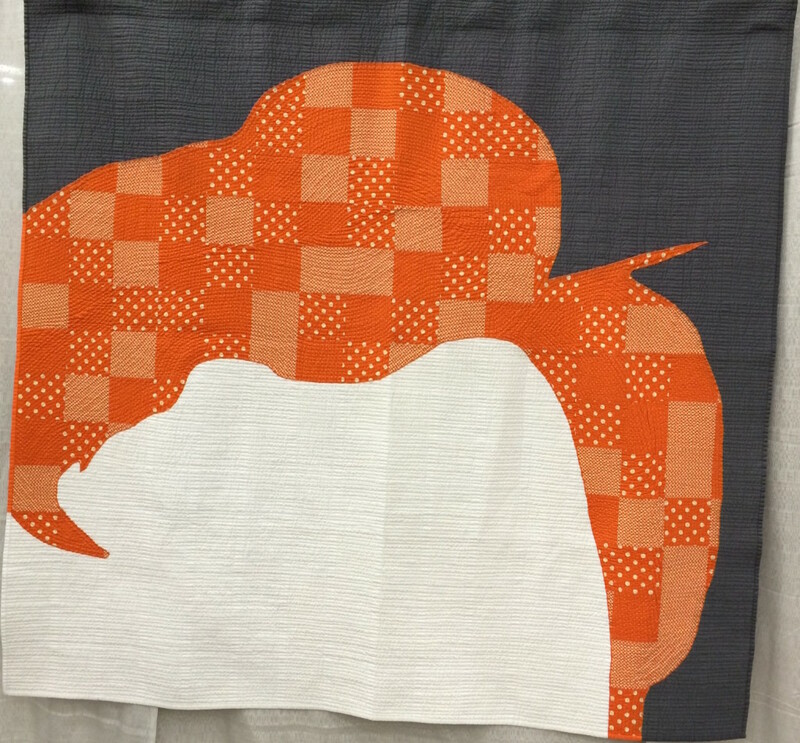 QuiltCon is the international show and conference of the Modern Quilt Guild. Basically there were lots of modern quilts, which was cool to see. One quilt was even made out of Goodwill clothes. Care to guess how much they were asking for it? $12,000!!!! Talk about pure profit for that quilter! Below are just a few of my favorites from the show. 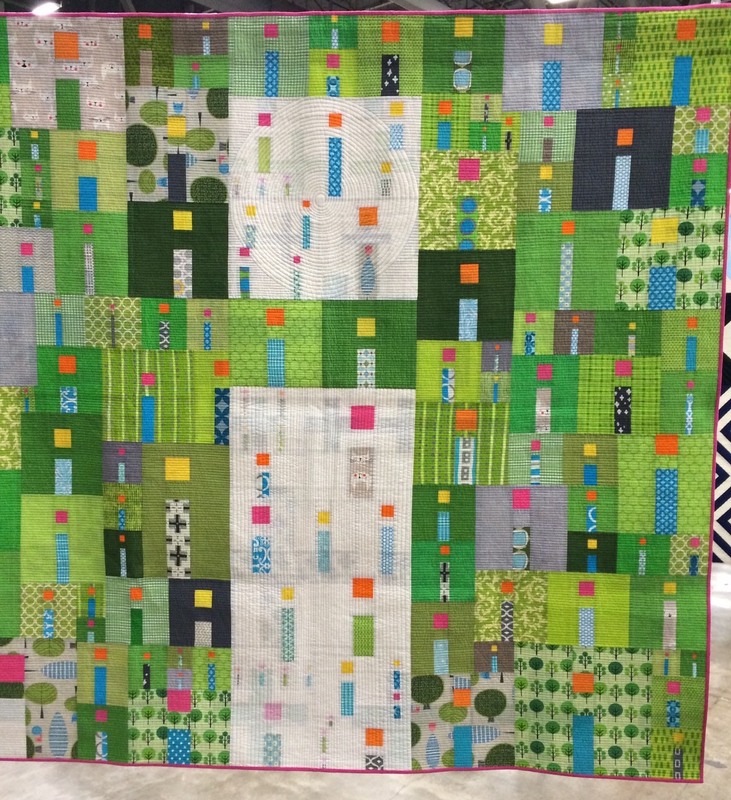 More info about QuiltCon HERE. The Goodwill quilt. It was made out of clothes all purchased from Goodwill. The asking price was $12,000! 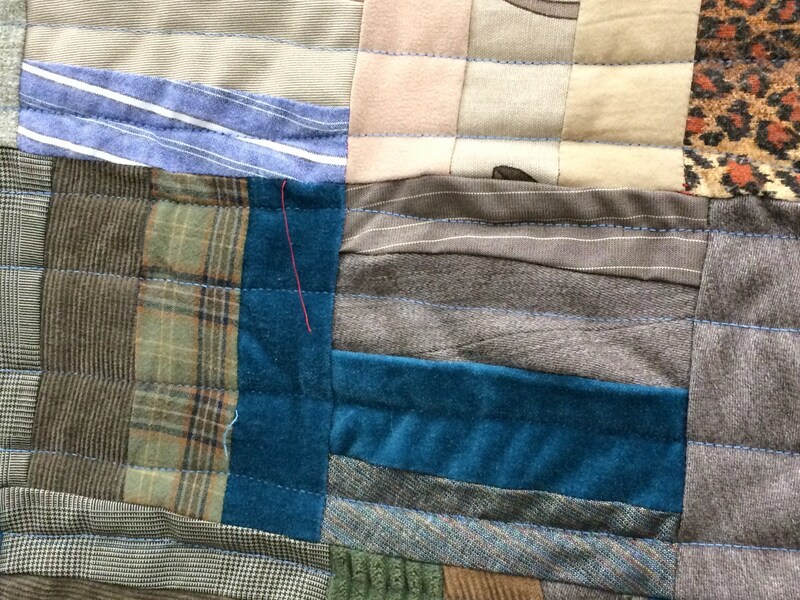 Close up of the Goodwill quilt. Pretty quilting on this one. I recently got interested in quilting and am in the process of making Harper a baby quilt, so I thought it would be fun to tag along with my mom and Jenni. I’m still a rookie, but hope to be making lots of quilts soon! Mom and Jenni take their quilt show road trips very seriously, especially when it comes to nice hotels. Every year when they go to the quilt show, they stay at the Four Seasons. Usually the quilt show is in Houston. 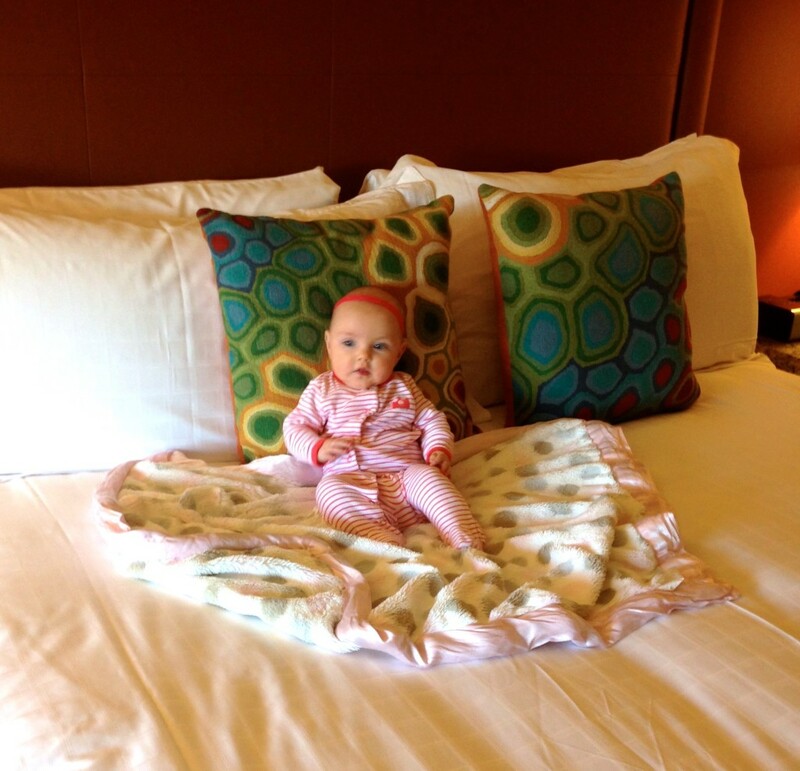 Harper was excited and said, “I don’t always spend the night in hotels, but when I do I make sure it’s really fancy!” lol. 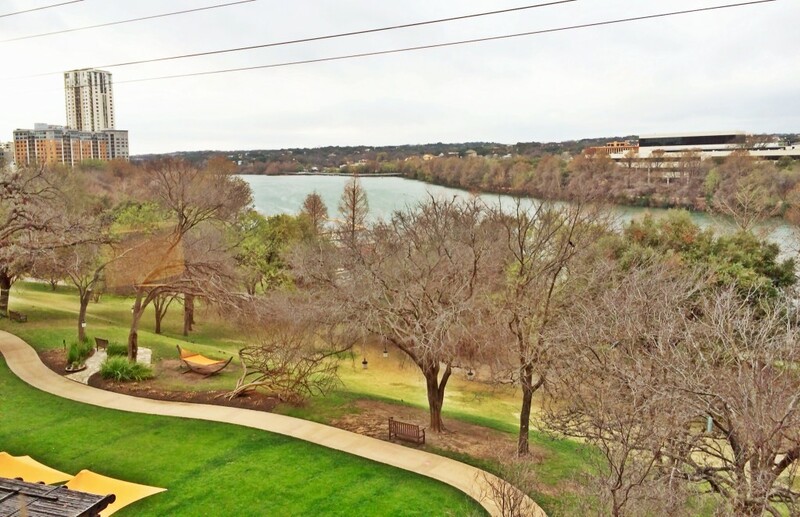 We ended up staying at The Four Seasons Austin, which was a really good decision. Not only does the hotel back up to miles of hiking trails along Lady Bird Lake, it was also just one block away from the Austin Convention Center which is where QuiltCon was. That was a life saver for me as it allowed me to go back to the hotel every 3 hours to feed Harper or let her take a nap. Mommy said no jumping on the bed! Just a little tummy time and cartoons to start my day! Want to know the best part of the trip?? The food! Austin is is known for their outstanding restaurants and dining, and while we didn’t eat out, The Four Seasons had some amazing cuisine. For dinner we dinned at Trio Restaurant. Unfortunately I didn’t get a picture, but I ordered the Purple Potato Gnocchi with caramelized broccoli, broccoli puree, manchego cheese. My mom got the Jumbo Lump Crab Cake with pickled peach, spicy mayo and house mustard atop salad greens. Jenni got the stuffed pork chop. To finish it off, we all ordered room service: cheesecake in a jar topped with fresh berries! All extremely delicious! The next morning lived up and perhaps surpassed dinner’s menu. 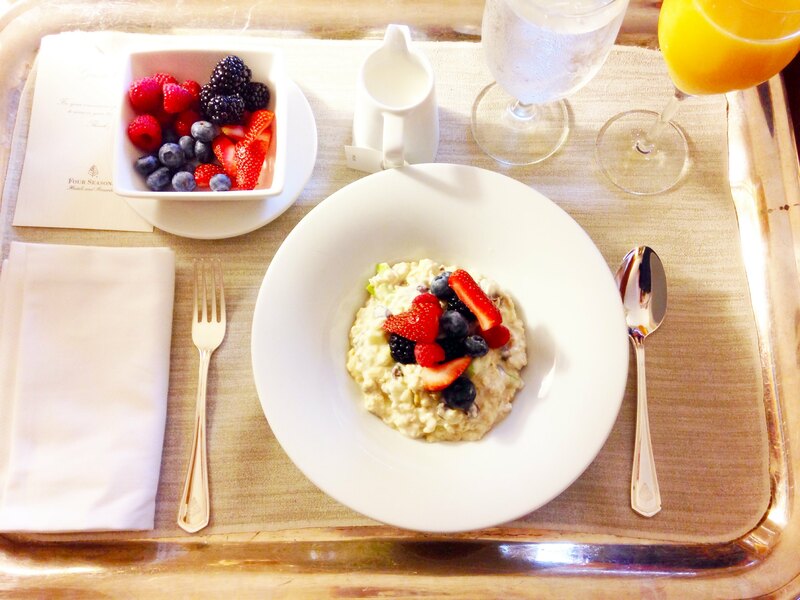 Harper was slow to rise, so I ordered the Bircher Swiss Muesli via room service. It was the best swiss oatmeal I’ve ever had! It had vanilla yogurt, oats, raisins, diced green apples, and grapes. Yum! Mom and Jenni ate downstairs at Trio Restaurant again. 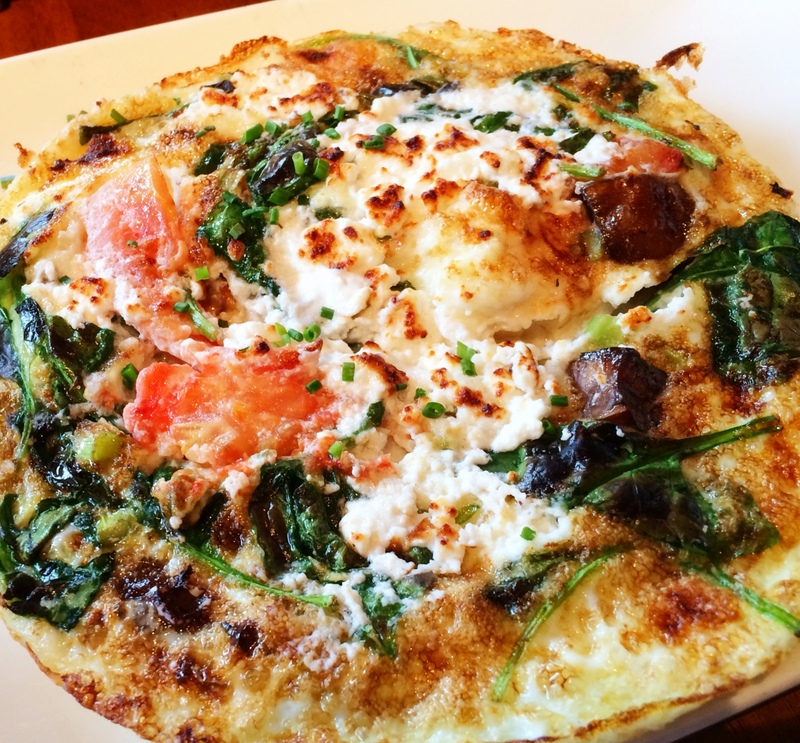 Mom ordered the Egg White Frittata with spinach, goat cheese, and oven-dried tomatoes, while Jenni got the Trio of Pancakes: banana-blueberry, gingerbread, and oatmeal pecan. 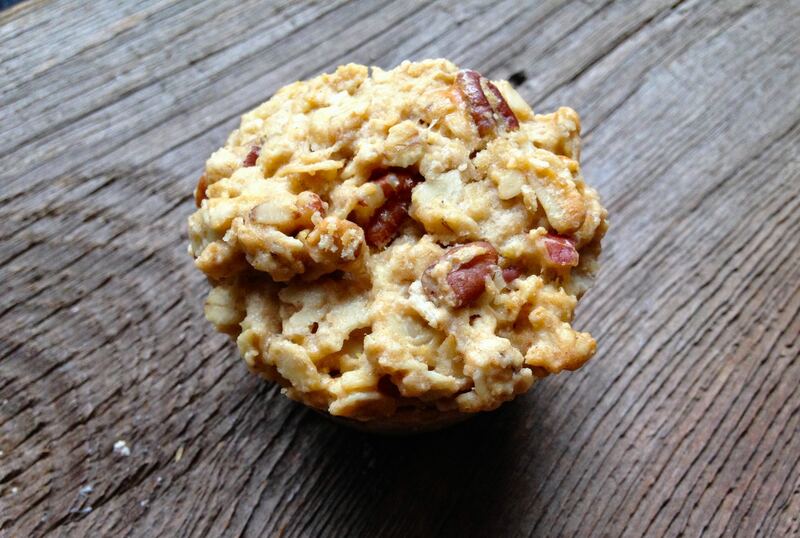 As I sit here drooling about the food I’m writing about, lets talk about these oat cakes. The best way I can describe them is as a cross between a muffin and scone. You cook the oat cakes in a muffin pan, but unlike a light and fluffy muffin, they are dense and thick like a scone. Oats, whole wheat pastry flour, pure maple syrup, golden flaxseeds, and coconut oil make up the wholesome ingredients included, which make these great to snack on. These oat cakes are nothing like anything you’ve ever had, but if you’re like me, you’ll love them! At first you may think you overcooked them because they are pretty dense… a lot like a hockey puck, lol. 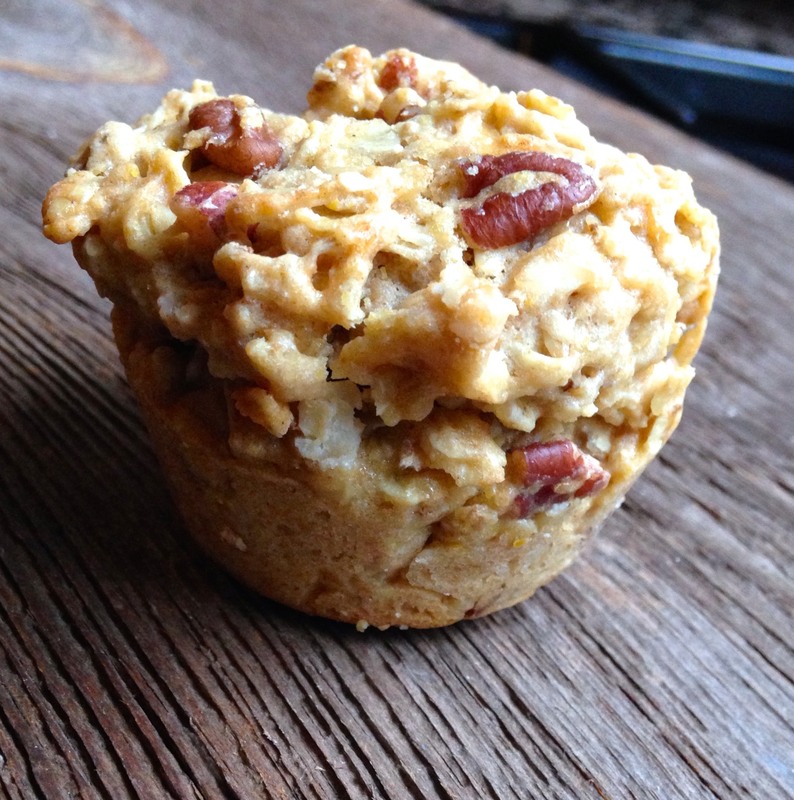 Don’t worry, they are just loaded with oats and made to taste this way. I seriously could eat one of these instead of a chocolate chip cookie every day. Preheat oven to 325 degrees F with a rack in the top third of the oven. Butter a standard 12-cup muffin pan. (You can also use a 24-cup mini muffin pan. Just shorten the bake time by 10 minutes). 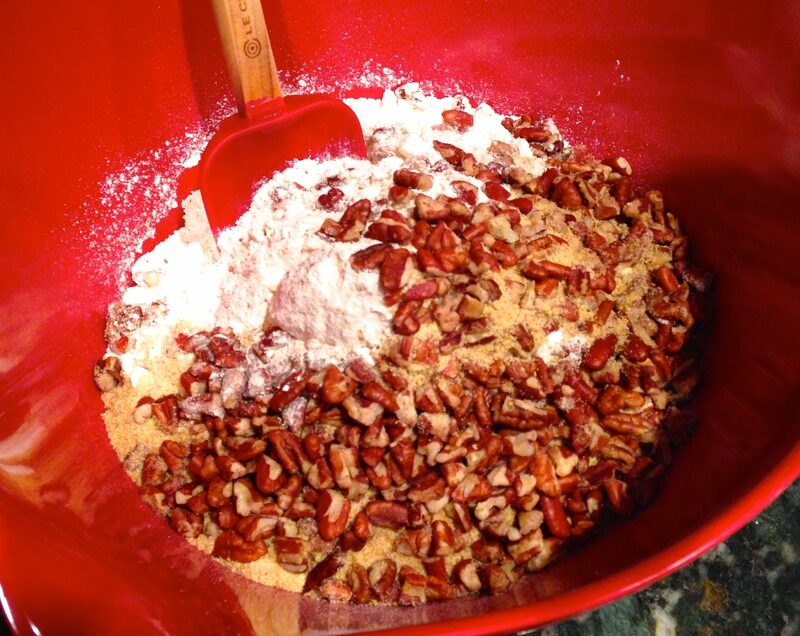 Combine the oats, flour, baking powder, salt, flaxseeds, and walnuts in a large mixing bowl. 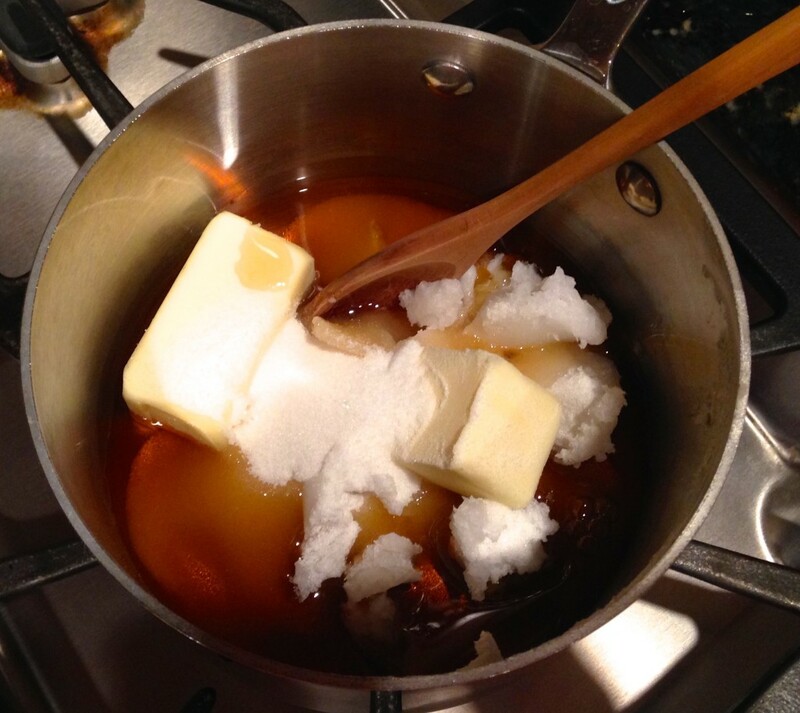 In a medium saucepan over low heat, combine the coconut oil, butter, and maple syrup, and slowly melt together. Stir just until the butter melts and sugar has dissolved, but don't let the mixture get too hot. You don't want it to cook the eggs on contact in the next step. Pour the coconut oil mixture over the oat mixture. Stir a bit with a fork, add the eggs, and stir again until everything comes together into a wet dough. Spoon the dough into the muffin cups filling them completely. 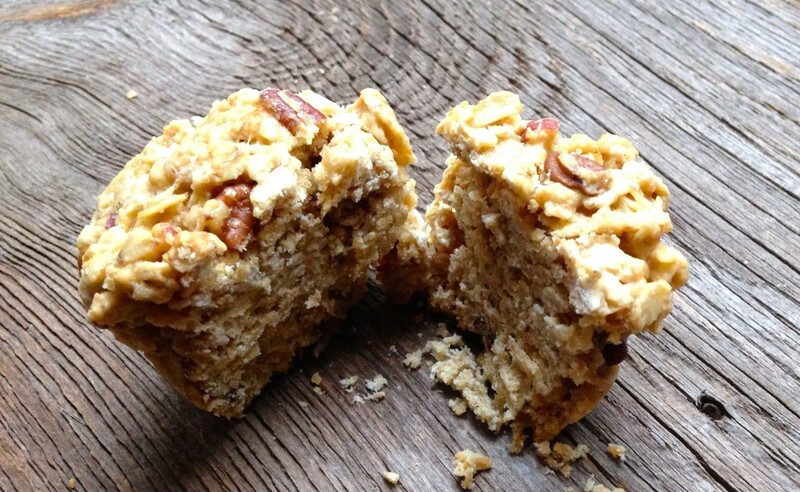 Bake for 25 to 30 minutes, until the edges of each oat cake are deeply golden. Remove the pan from the oven and let cool for a couple minutes. Then, run a knife around the edges of the cakes and tip them out onto a cooling rack. Serve warm or at room temperature. One Response to "Oat Cakes and QuiltCon"
Need to try these. 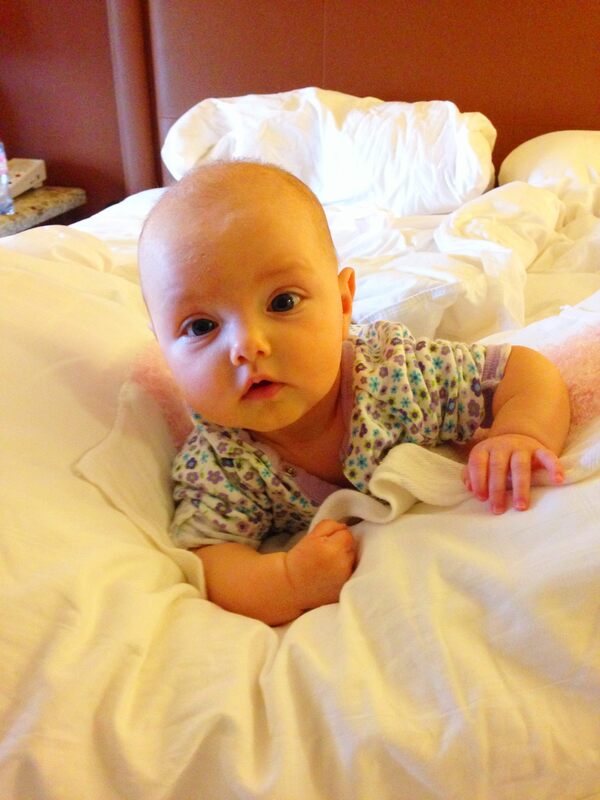 Little Harper looks like she had a great time. I hope she takes after her Gammie Joan and learns to quilt. Quilting is such a lost art.